Moon Dumpsters’ Bob Jones is excited to announce the line of commercial dumpsters to the Kentuckiana area. The dumpster rental company has a large inventory, providing customers with a wide selection of dumpster options ranging in size from 6 cubic yards to 20 cubic yards. Most recently 30 and 40 cubic yard dumpsters have been added to Moon’s extensive line. Moon Dumpster company’s Bob Jones explains this decision: “We really wanted to be able to better serve our commercial customers. After noticing an increased demand for larger dumpsters, we invested in a new fleet of 30 and 40 cubic yard dumpsters to add to our inventory. We’re very excited to be able to better serve area businesses with our dumpster service.” Read more about Moon Dumpster Rentals HERE. While we all look forward to Spring, it’s the cleaning part that seems to have us always dragging our feet. Whether it’s your basement, garage or spare room, things tend to have a way of piling up over the year and removing them can be well, daunting. Sometimes we all need a little push to get the job done. Often times when it comes to spring cleaning, we start, stop and never get back to it. By renting a dumpster, you are already committing to getting the task done within a certain time frame because you’ve set aside a time for drop off and pick up. If you find you need some extra time, you can always extend your rental period. However, chances are you’ll find yourself highly motivated to finish your project just by renting the dumpster in the first place. When it comes to cleaning out a space, deciding you don’t want an item any more is easy. It’s choosing what to do with it that’s the hard part. Once you’ve decided to throw an item away, a dumpster comes in handy in that you actually have the resources to remove it. Instead of having to bag all your junk up, put it little by little in your residential trash can, or haul it away in your vehicle, you can simply toss it in the dumpster. Everything you don’t want to donate or keep, can just be placed in the dumpster; saving you the time and hassle of multiple trips, having to borrow a truck, and precious garage space. The dumpster will be picked up for you and all your debris will go with it! Just because it’s trash to you doesn’t mean it can’t be recycled. Moon Dumpsters will recycle certain types of loads. For example, yard waste will be recycled as long as household items are not mixed in with the load. The same is true with roofing material, paper and metals. Moon recycles shingles, paper and metals as long as the load is 100% roofing materials, 100% paper, or 100% metal products. You’d be surprised what even a smaller residential dumpster can fit. From ratty old furniture and appliances, to papers, clothes, and knick knacks, a residential dumpster can likely fit it all. If you don’t know how much space you’ll need, just ask a professional so you don’t end up paying for space you won’t use. At Moon Dumpsters, we believe in fast, friendly service. All of our residential roll-off dumpsters are well maintained and placed on boards to protect your driveway and or landscape. 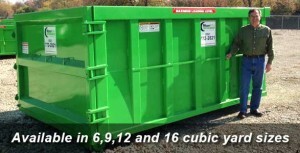 Choose from many different dumpster sizes, depending on your needs. We guarantee easy access as well as a smooth delivery and pick up. For more information, or to rent a Moon Mini Dumpster, simply call us at 502-772-2821, email us at bjones@mooncompanies.net or request one online! Do Mini Dumpsters Hold the Same Amount as Larger Dumpsters? Yes! The space-saving design decreases the “footprint” of the dumpster, not the capacity. This means our dumpsters take up less space in your work area while holding just as much. Our “mini” dumpster rentals are available in 6, 9, 12 and 16 cu. yd. sizes. 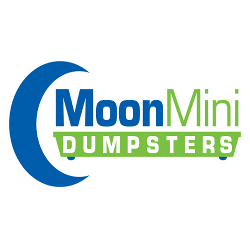 By utilizing smaller dumpster sizes, Moon Mini Dumpsters is able to save you money! Most companies offer large, bulky dumpsters that use MORE of your work space and have TOO MUCH room. This means you’re paying for container volume that you DO NOT NEED! Don’t let this happen to you! Most home renovations, clean outs, junk removal and DIY projects do not require excessive volumes. In addition, our smaller containers are delivered by smaller trucks. This means they are easier to maneuver and place in a position that is OPTIMAL for YOUR needs. We can drop off the dumpster in a spot that is convenient for YOU and makes your job EASIER. For a FREE dumpster size evaluation in Louisville, KY call Bob Jones (502) 772-2821. Bob Jones https://www.moondumpsters.com/wp-content/uploads/2018/03/moon-dumpsters.png Bob Jones2014-08-18 09:00:332017-10-05 08:16:18Do Mini Dumpsters Hold the Same Amount as Larger Dumpsters? Why Rent From Moon Dumpsters in Louisville? Whether you are a Louisville homeowner or construction company, Moon Mini Dumpsters has the junk removal container for your next project. Our business plan is designed to save you money. We do NOT rent out large, bulky dumpsters with more space than you need. Not sure which dumpster size to order? No problem! Call Moon today at (502) 772-2821 and ask for Bob. He’ll asses your job requirements and get the garbage container that benefits YOU the most, not us. Moon started in 1992. That’s 22 years of service to the greater Louisville and southern Indiana region. We do what’s best for our customers not because it’s good for business, but because it’s how people should be treated. We care about our customers because we are Louisville residents ourselves. We take efforts to reduce our environmental impact. 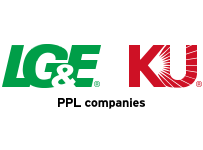 We recycle trash that would otherwise add to landfills and pollute our air, ground and water. Come see for yourself! Let us show you what customer-focused service is. Bob Jones https://www.moondumpsters.com/wp-content/uploads/2018/03/moon-dumpsters.png Bob Jones2014-08-08 09:00:162015-06-12 21:28:32Why Rent From Moon Dumpsters in Louisville? Summer is here! The time for fixing up the house and completing DIY projects is upon us. Take advantage of the warm weather and complete your Louisville home or business renovations today! Moon Mini Dumpsters provides roll-off containers for projects big and small. Our space saving design maximizes efficiency at a reduced cost. Rent a 6, 9, 12 or 16 cu. yd. dumpster for your residential or commercial project. Need to fix the roof? Replacing the siding? Getting rid of old inventory? No problem! Moon dumpster rentals are designed to fit your specific needs. Our waste bins are easy to load and unload nearly anywhere! This means you can place the dumpster close to your work site for quick and easy completion. Not sure which dumpster size to choose? No problem! Call Bob Jones today (502) 772-2821 to discuss the details of your task. He will make sure you DO NOT OVERPAY for container space you DO NOT NEED. Don’t be left out in the cold this winter. Get your junk removal needs met today! 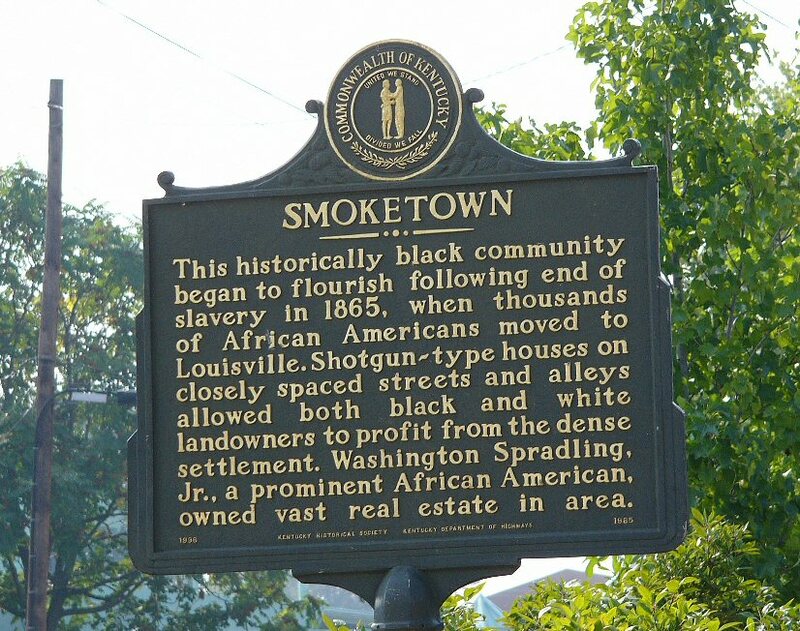 The Courier-Journal is reporting that a new development planned near Smoketown continues to grow. The Floyd Street complex, just outside of downtown Louisville, now plans to include a fine dining restaurant, sports bar and “Bluegrass Music Kitchen,” among other additions. The overall $9 million investment is expected to be a big economic boost to the area. The development is part of a bigger effort to improve the quality of the neighborhood. Old public housing units will be removed and replaced by more modern housing. The investing pair of Stinson & Lewis, developing the Floyd Street complex, have purchased additional buildings in the area to redevelop. The restaurant and music kitchen will hopefully be ready for the 2015 Kentucky Derby. It is estimated that Americans get a new cell phone every 1-2 years. So what happens to the old phones? Hopefully, they get recycled! 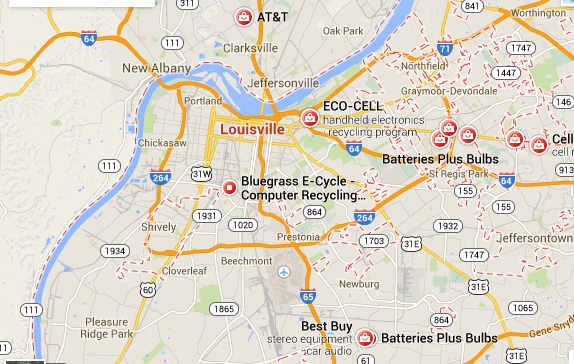 Below are some of the locations for recycling cell phones in Louisville and SE Indiana. Be sure to check out the Free Summer Movies at the Iroquois Amphitheater. Shows start at 8pm and doors open at 7. Tonight’s free movie is FINDING NEMO!!!! 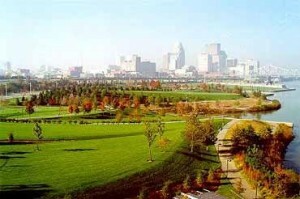 The Courier-Journal has reported that Louisville Waterfront Park has lost $420,000 in annual funding. The downtown park board is cutting expenses and scouring for additional sources of funds. Waterfront Development Corp. Executive Director David Karem cites several major changes in the budget due to the loss. Layoffs and security cuts are being avoided as best as they can. A number of major events, including Abbey Road on the River, the Forecastle Festival, Kentucky Derby Festival, and others will not be affected.